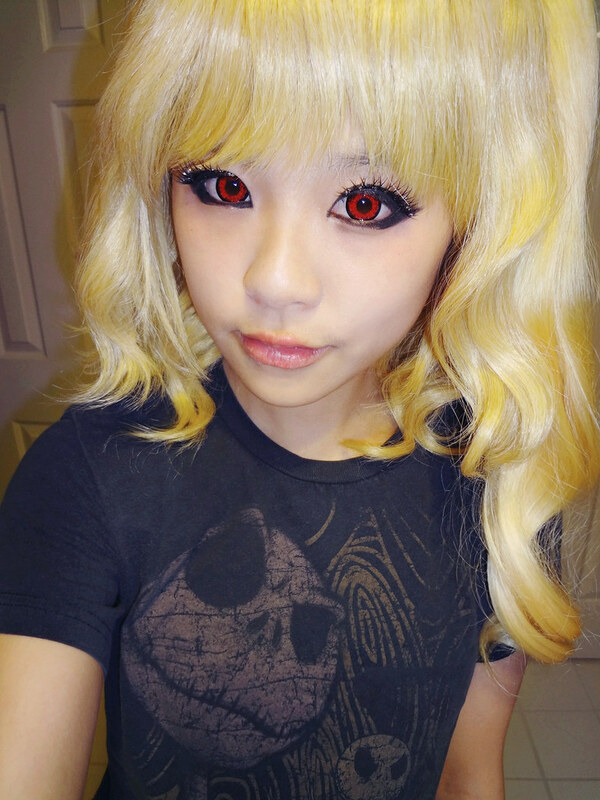 I got some more new wigs, and one of them was this wig. I thought it was really pretty and I was doing some experimental makeup as well, so I went ahead and did a quick video review of the wig. I usually work two shifts on Sundays as a waitress versus one night shift from Monday to Saturday. I didn’t plan on doing much sewing so I decided to go buy some materials for other cosplays in between my shifts. Turns out I no longer have to work the night shifts on Sundays leaving me the rest of the day free. I had already planned on going out so I just decided to go to the mall. I stopped by the bubble tea stand at the mall to say hello to a friend that works there. We had a small chat about our lives and cosplay. Found out her motivation to cosplay wasn’t with her this summer so she’s taking a small break from it, but I hope she finds that motivation again. She’s a really great cosplayer and seamstress. I took about an hour deciding what I wanted to drink. It started getting busy, so I left her to her work. I called up another friend to hang out, but she didn’t have a ride here, so I ended up going to her house to pick her up. 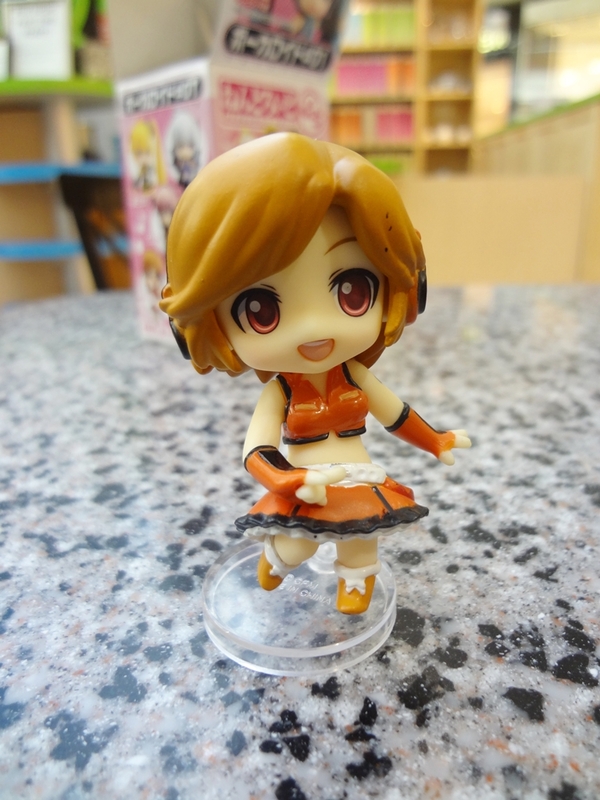 To my surprise, she gave me a cute Meiko figure for taking the trouble to go pick her up. Ended up buying two cute sweaters and since it was buy one get one free, she and I split the cost of one item and I let her have her pick of the free item. The total was $16.25 for three clothing items which I thought was pretty good. Despite the mall closing, the department stores stay open one hour later. We headed towards the makeup section of Belk since I needed some new eyeliner. Went to M.A.C. and tried on some gel eyeliner. The makeup artist that catered to us was really nice. I drew on my eyeliner really nicely to where the makeup artist there was in awe and waved over another makeup artist to show how precise I did my makeup. In the end, I left the mall with some clothes and gel eyeliner. We went over to eat at a Japanese/Chinese restaurant where my other friend worked as a hostess. My friend was also nice enough to pay for my dinner as well for driving her around. 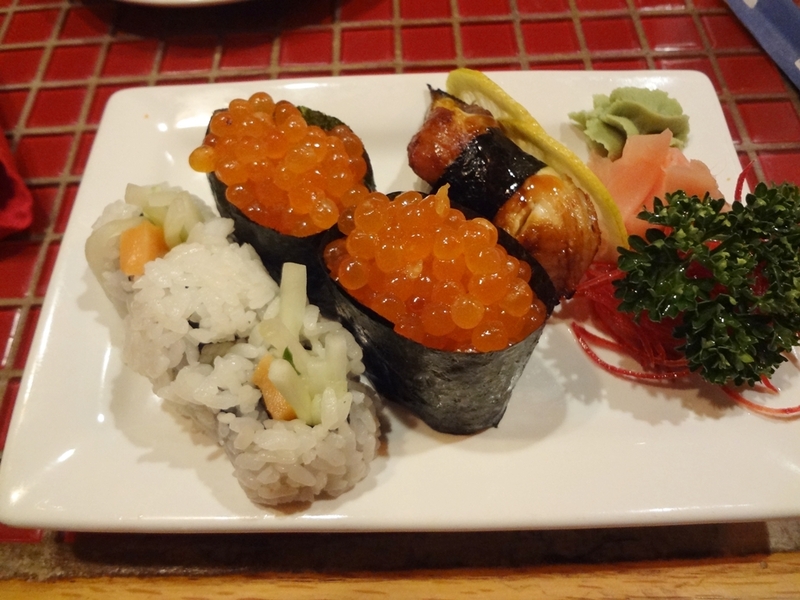 I was craving sushi so I got eel, salmon, and salmon roe sushi. 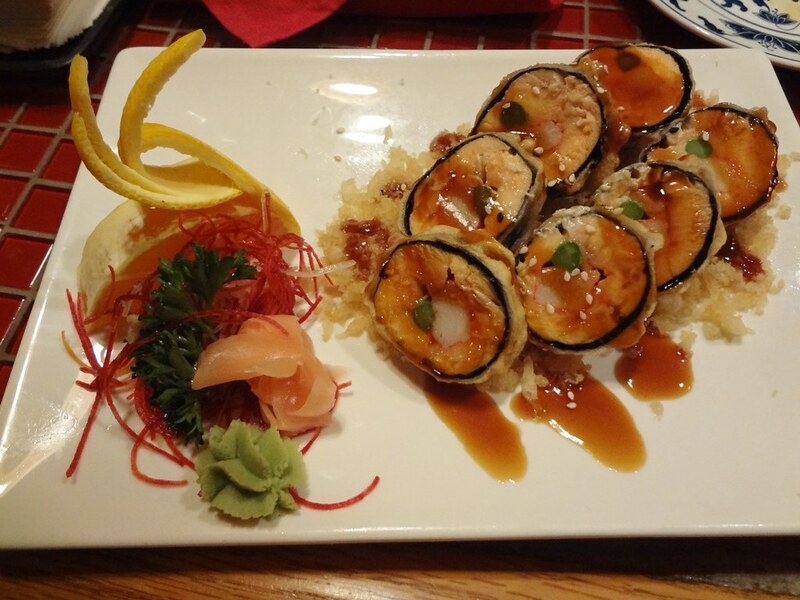 I also got a salmon tempura sushi platter. 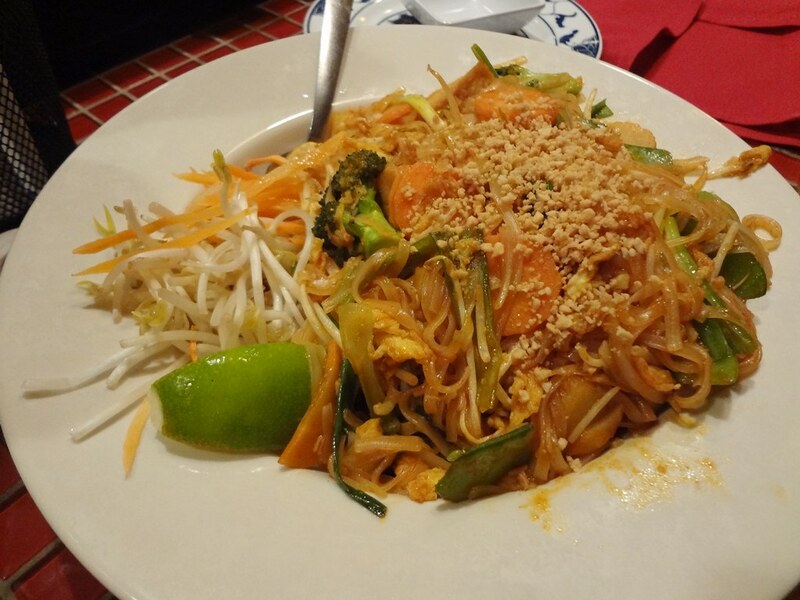 She got a vegetable pad-thai which was also yummy as well. I didn’t get much sewing done, but it’s nice to get out once in a while. Take a break. Sorry for the long post this time, and this post should be dated for Sunday.